At upper left is "Guinevere" primed, to show any remaining flaws. 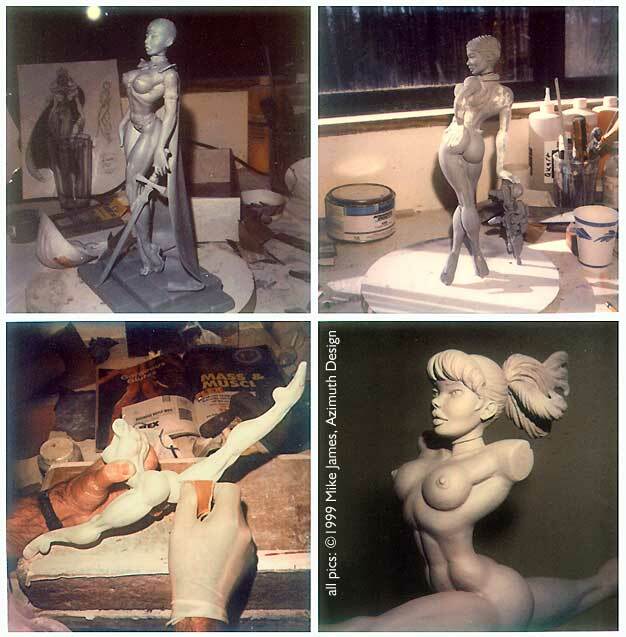 Then, a final "finish sanding" can be done, as on "Agent Venus at upper right. "Oona" gets her legs polished at lower left (note Mike's muscle reference). Often, parts are worked individually, as can be seen at lower right; this makes it easier to reach certain areas. Note, clothing is usually left to last.